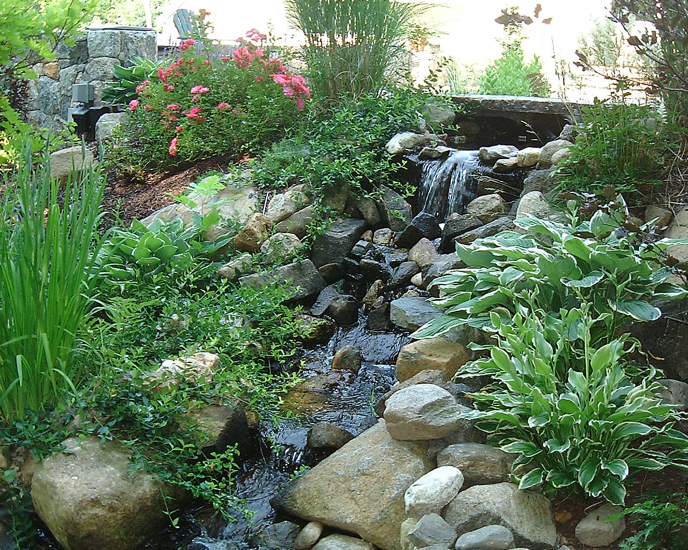 The sight and sound of flowing water cascading over natural stones is something that appeals to our senses and draws us closer. 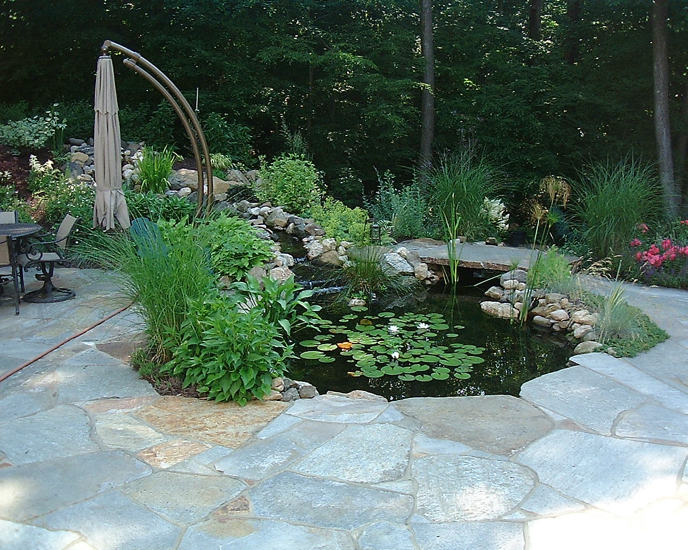 So why not install a water feature as part of your outdoor entertainment spaces. 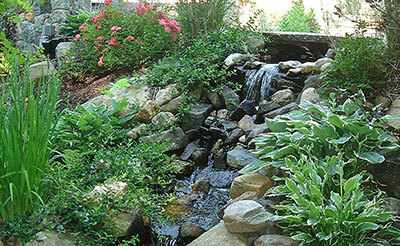 The soothing sound of a waterfall can relieve all the stresses our daily lives endure. 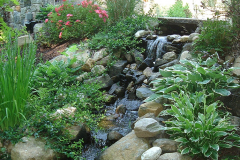 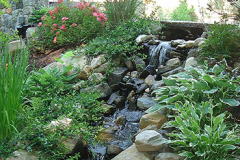 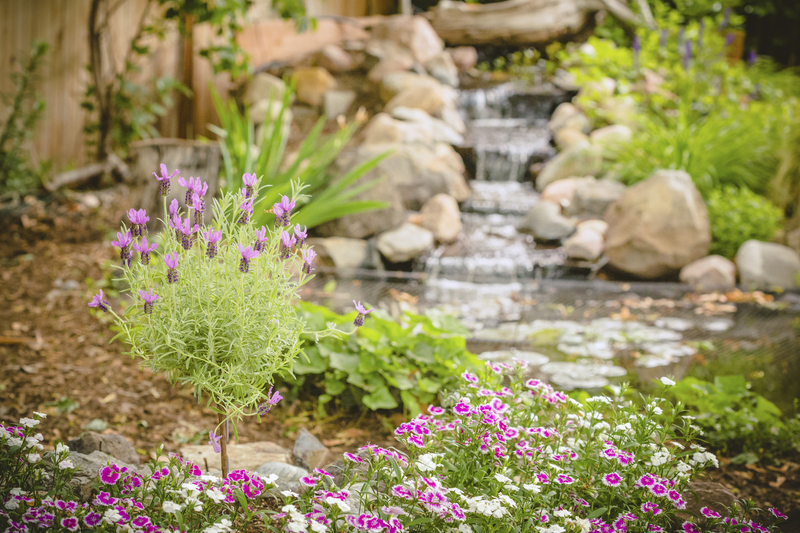 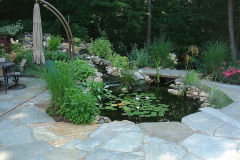 Colorful Koi fish, beautiful aquatic and terrestrial plants, a well-placed stream and waterfall can create your own little piece of paradise in your yard. 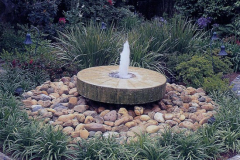 Let us create your own water feature, bringing nature one step closer to your life. 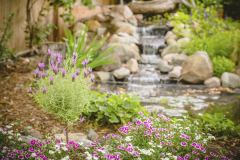 Work with our designers to create your own personal oasis on your property for years of enjoyment through all of your senses. 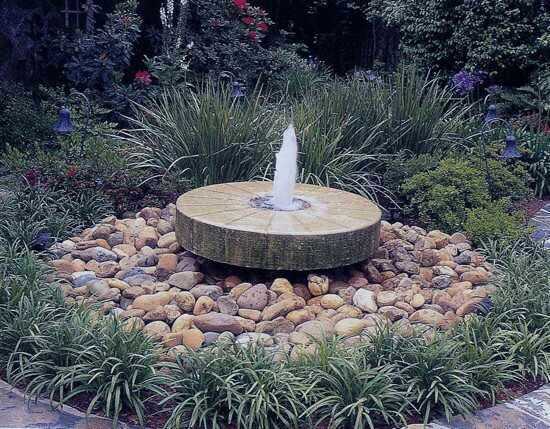 to plan out the perfect water feature for your home.